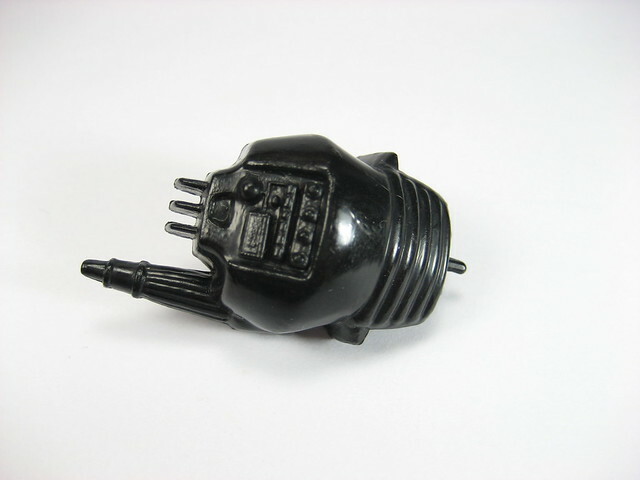 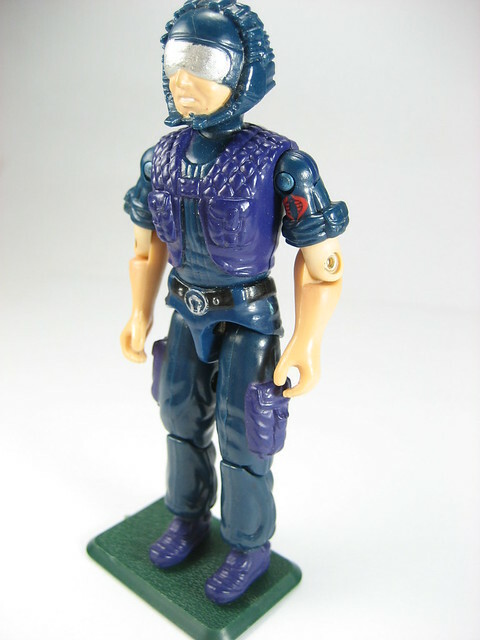 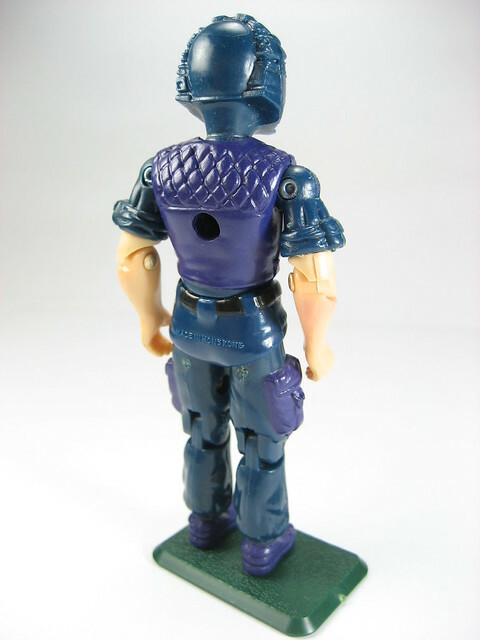 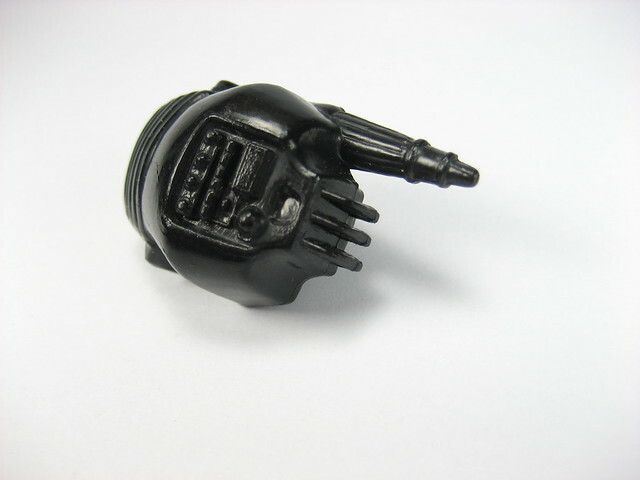 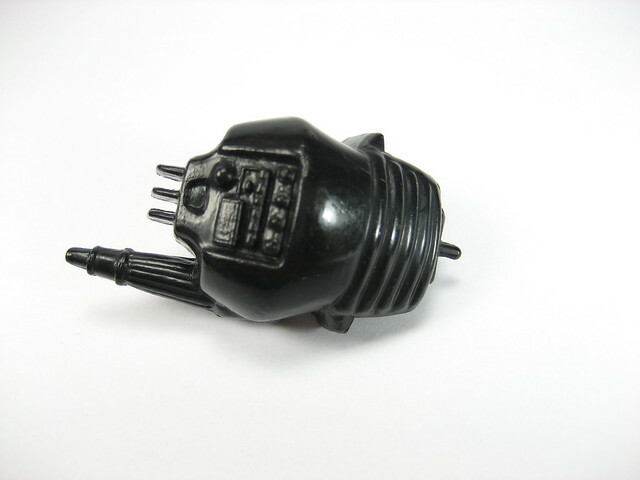 Tele-Viper figure from GI Joe Real American Hero. 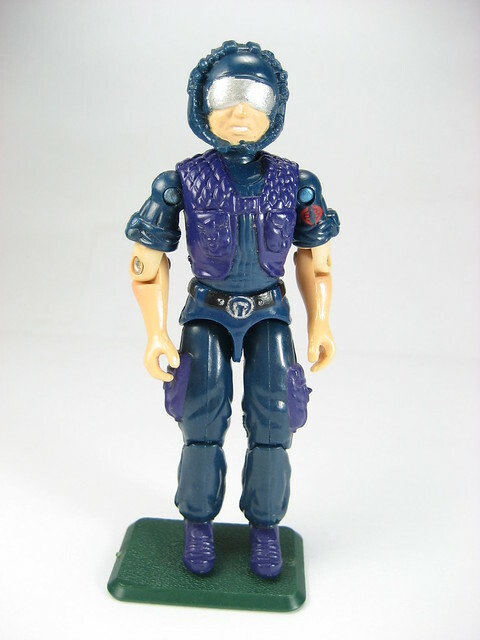 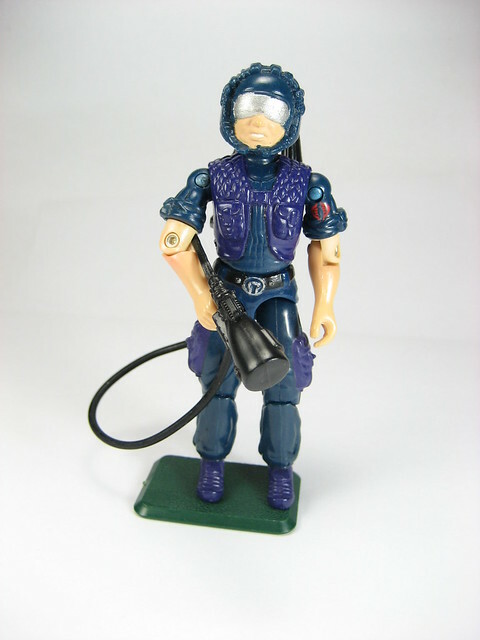 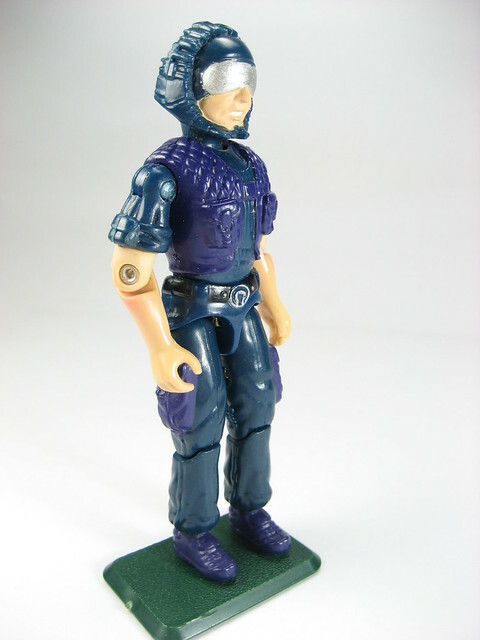 This particular dude was one of many that formed the Radio Telecommunications corps of the Cobra forces. 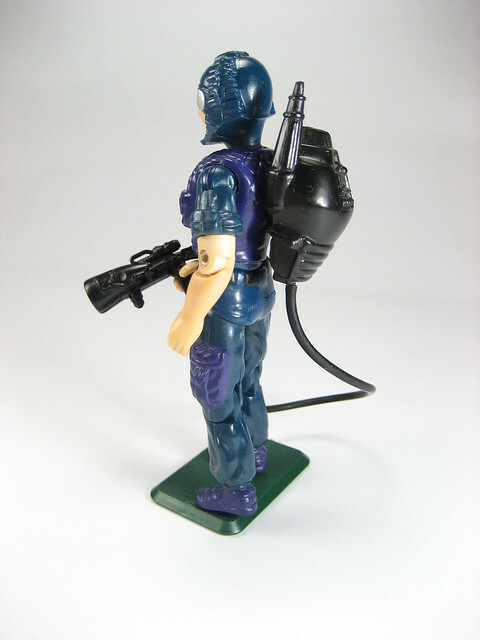 They are part of the expansion of the "cannon fodder" units of the GI Joe series that came out in the 1985 GI Joe toy line up that included the snow serpents, eels, etc. 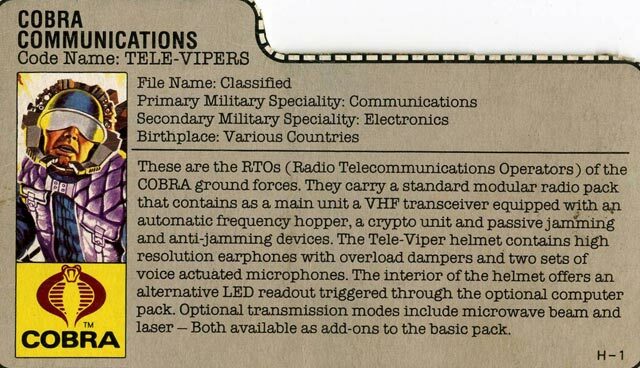 Impressive helmet worn by the tele viper that according to the file card includes a LED readout capabilities if used together with the optional computer pack. 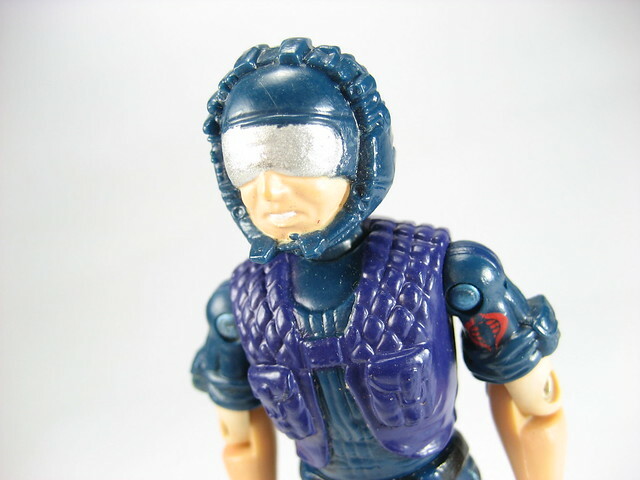 The visor I had to repaint Tamiya enamel silver when I was a kid as it was easily scratched. 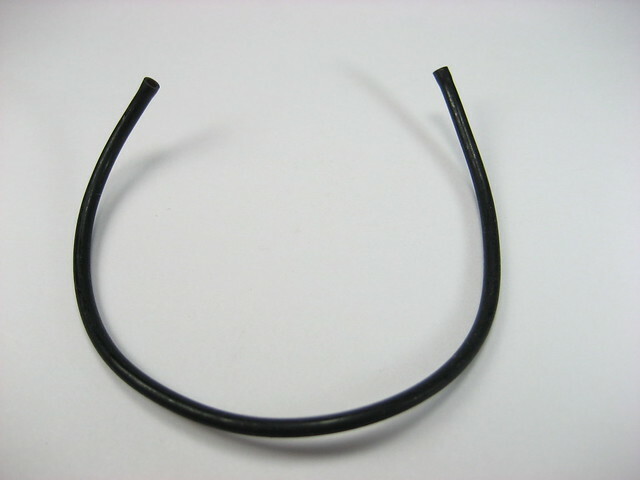 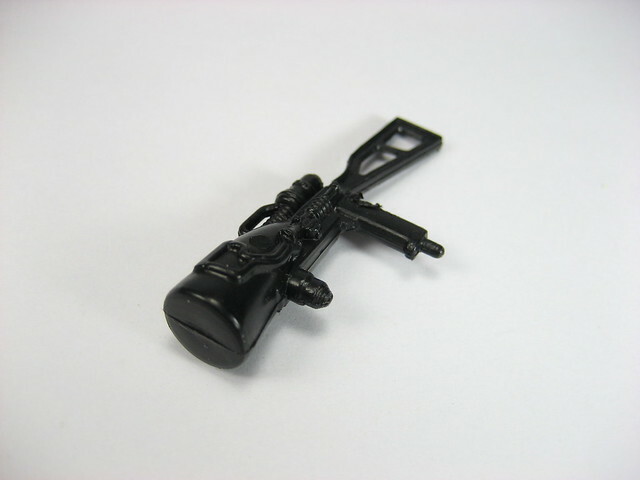 Hollow tube that connects the backpack to the "gun"
Gun that came with the Tele Viper. 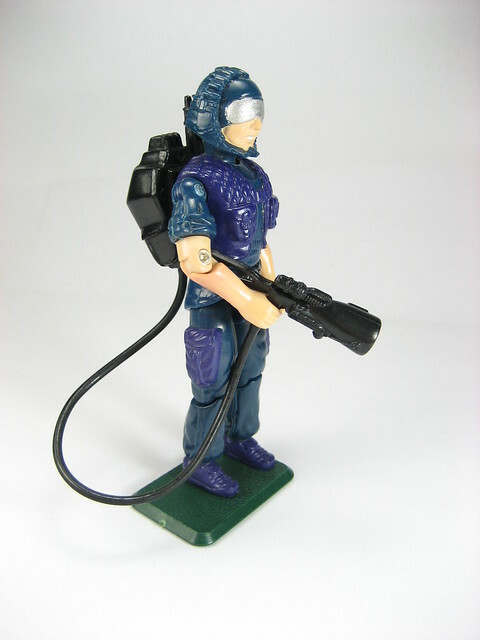 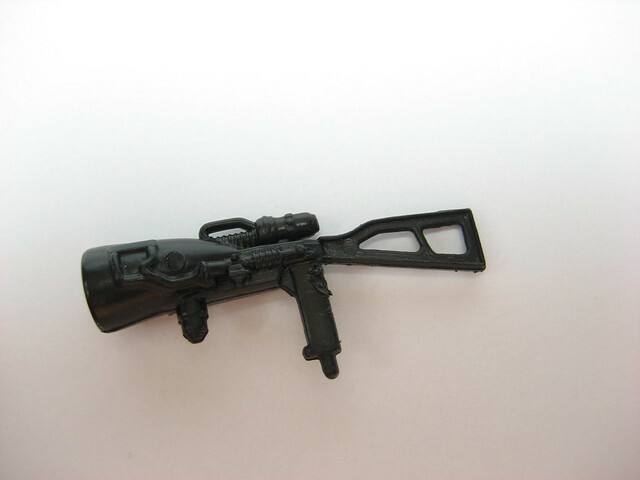 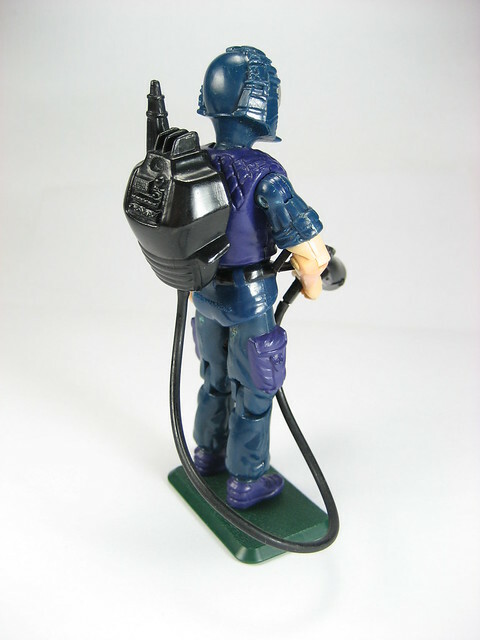 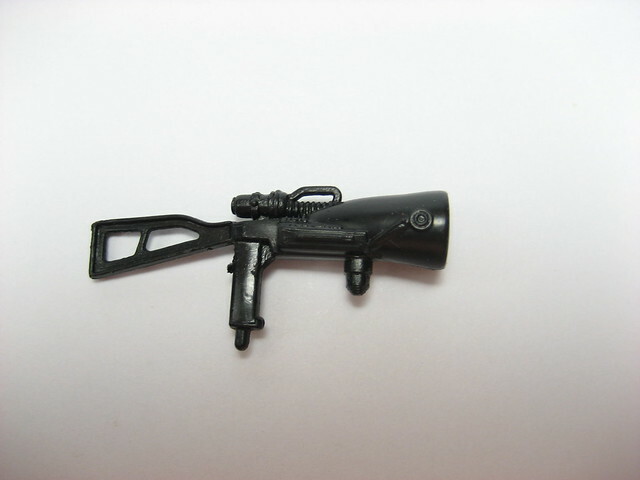 When basing it on the picture at the figure pack, this doesn't seem to be an offensive weapon but more like a communications antenna as there is a tube that comes with the figure that connects the backpack to the gun.